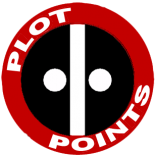 This is our first entry from the Plot Points Bullpen! 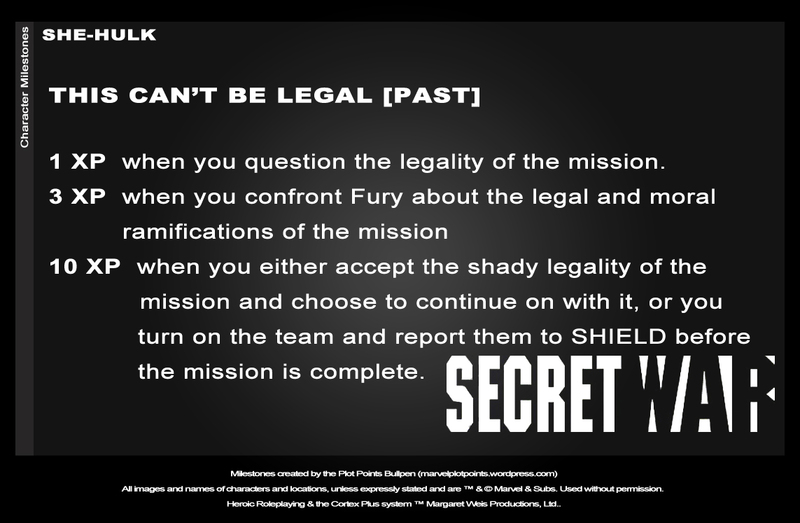 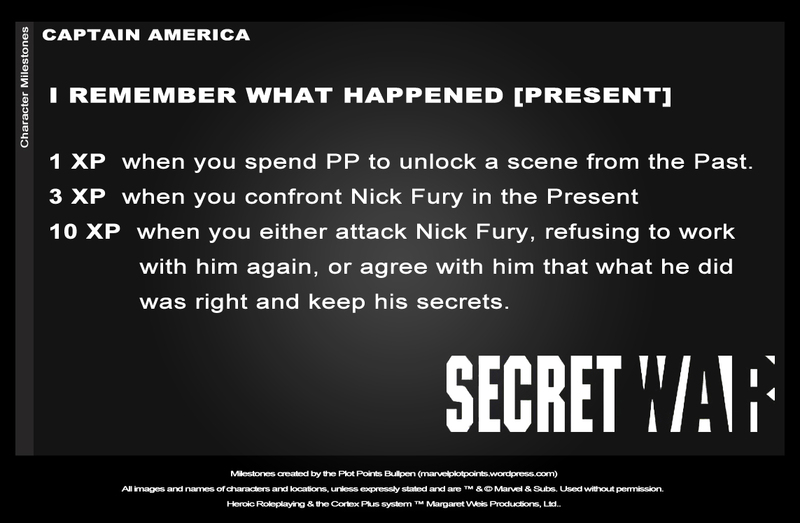 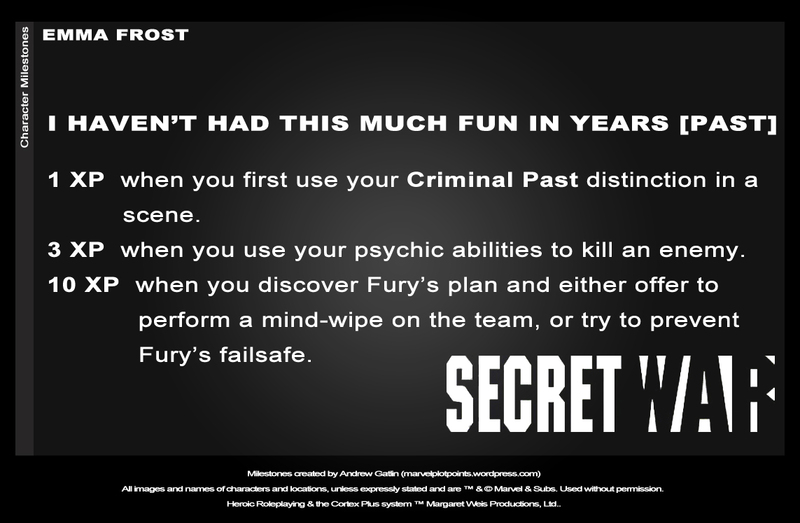 Three of us, Andrew, Felipe and myself, have worked on new Character Milestones for any character involved in the Secret War (the list of characters was mentioned last week with Nick Fury and Daisy Johnson). 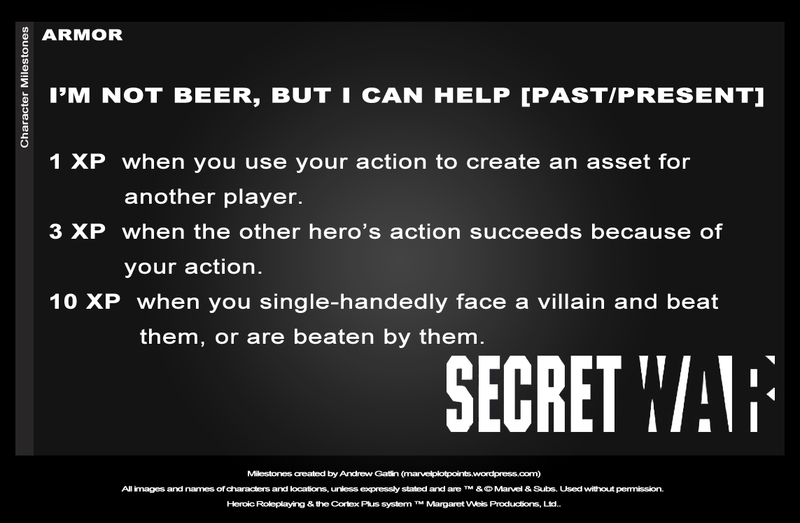 A player choosing one of these heroes can swap out one of his milestones with one of these. 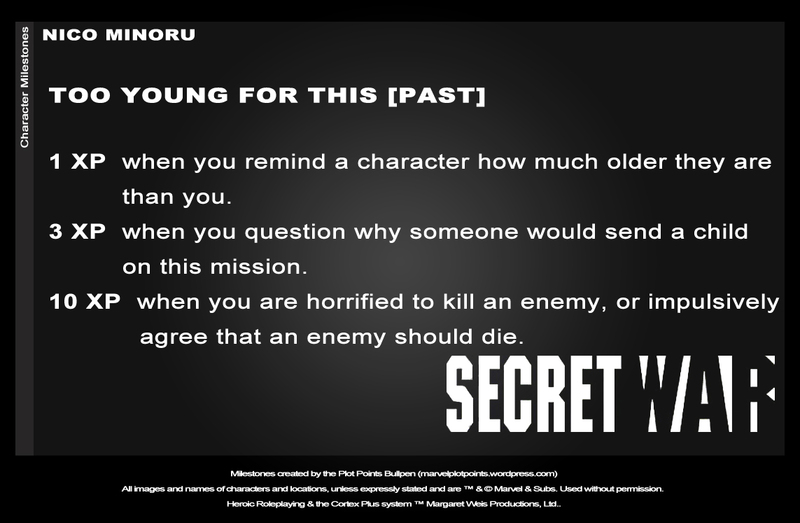 If the milestone says “Past” or “Present”, they can only fulfill the milestones within those scenes. Which one did you guys like best? 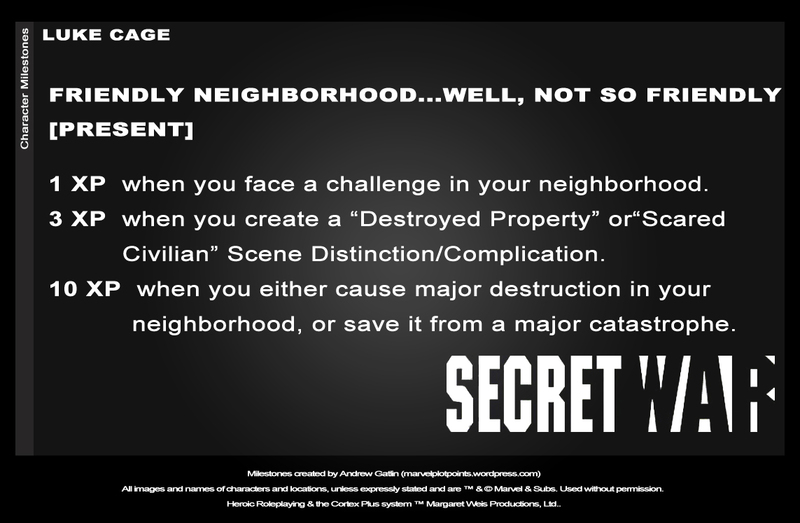 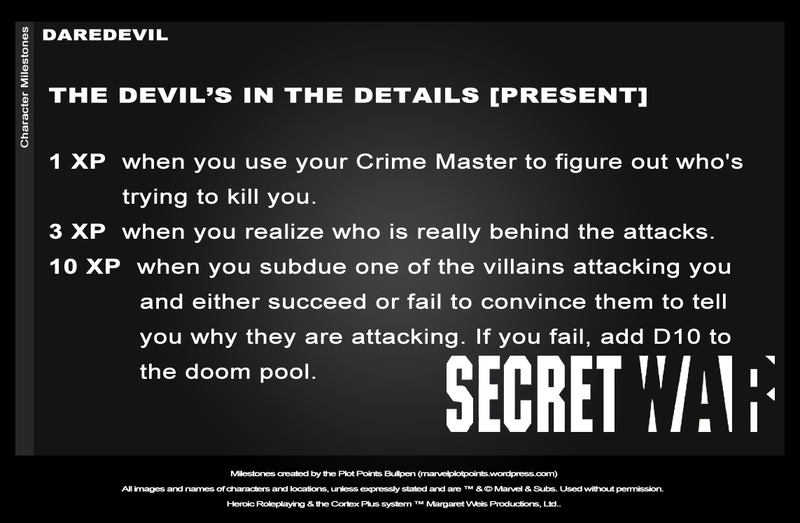 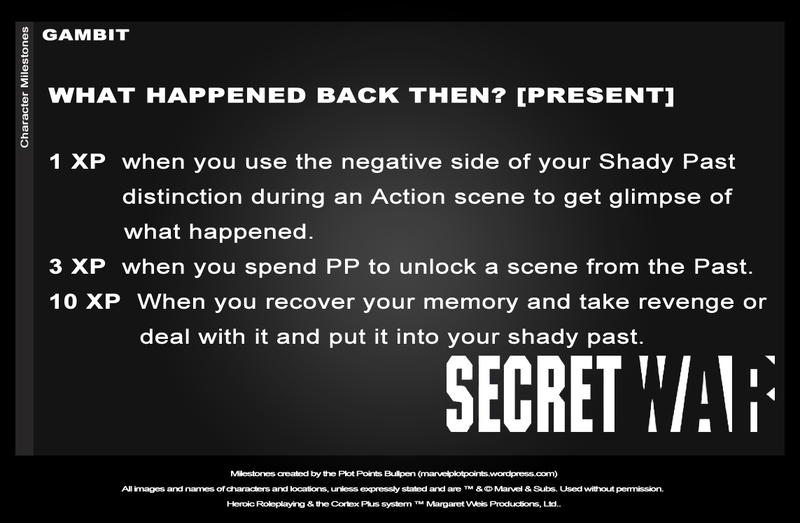 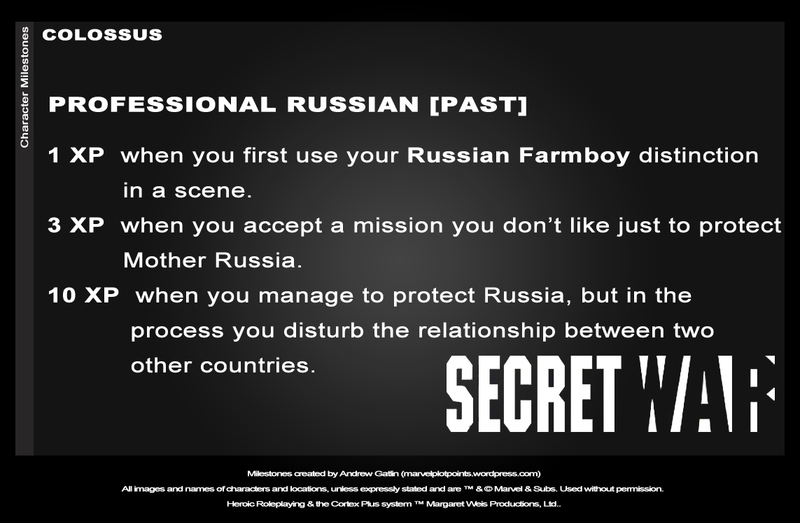 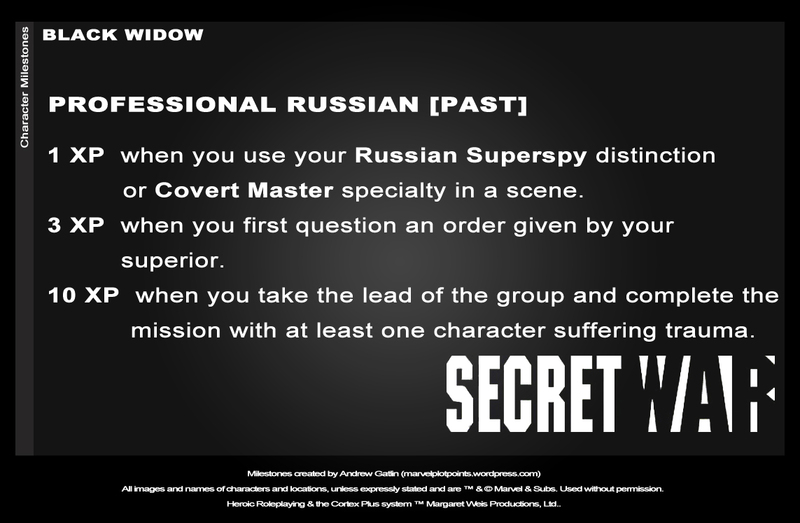 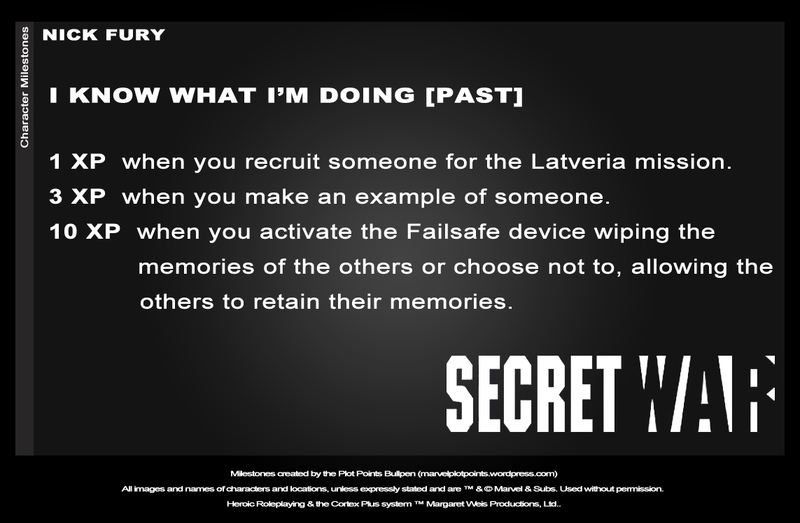 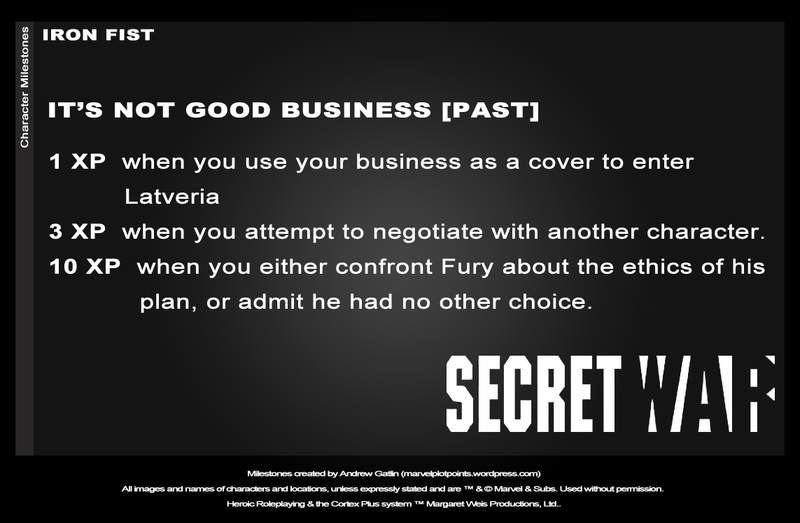 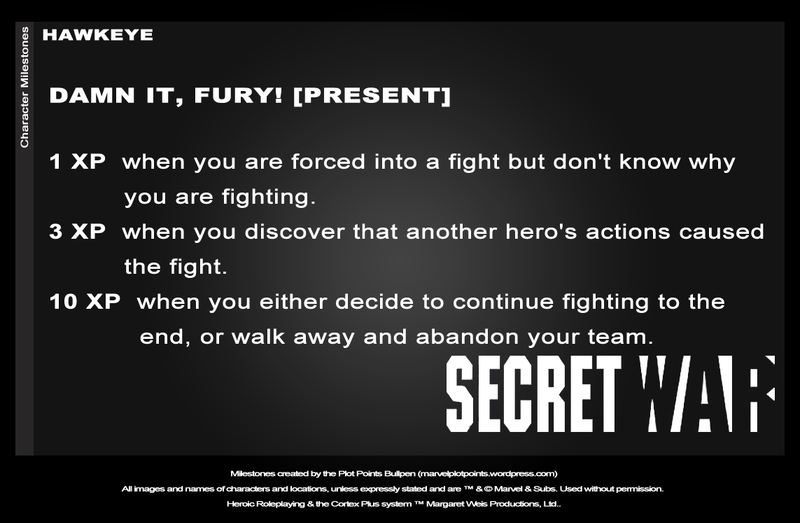 This entry was posted on April 13, 2012 by Mark in Milestones, Secret War.